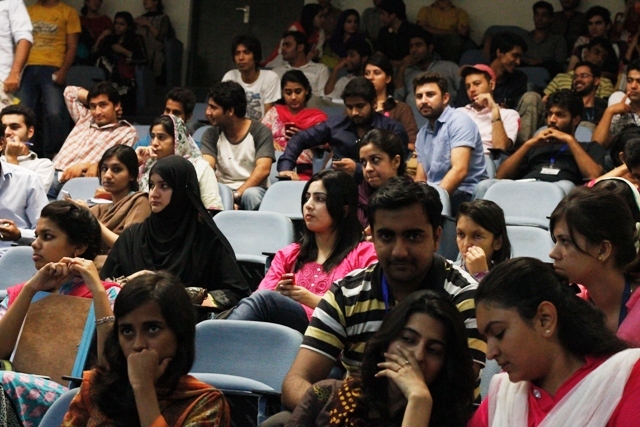 The Forman Journalist Society (FJS) along with the Department of Mass Communication conducted an interactive lecture by Ayub Khawar who is a famous Pakistani drama director and poet. 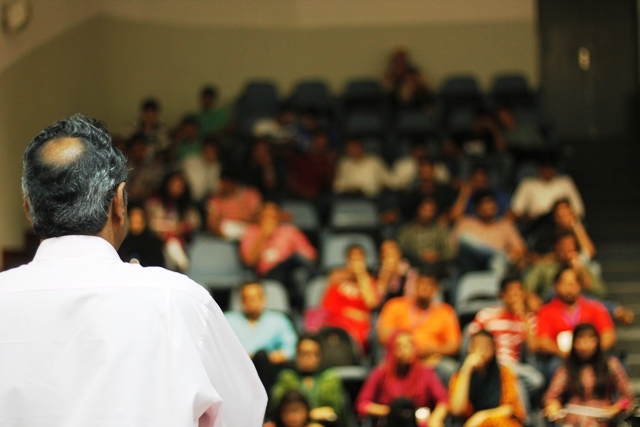 The topic of the lecture was ‘Pakistani Drama: Past and Present’ Ayub Khawar talked about the ethical issues Pakistani dramas are going through. He also revisited some old classics of PTV drama. Being nostalgic about those dramas he shared the main reasons for which they were popular. 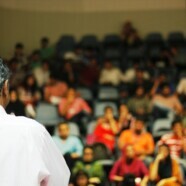 He stressed that students of Mass Communication must focus on the script before going into the production phase. He also discussed how character building in drama scripts has been replaced by actor building and star casts and became an obvious reason for the downfall of Pakistani drama industry. Corporate interest of advertisers and commercial concerns of TV channels have lead to a great shift in subject matter, production style and the lifestyle depicted in dramas. On one question posed by a student he commented that foreign dramas particularly now Turkish dramas are another threat to our dramas. But he was hopeful as well for the future of Pakistani TV drama as he maintained that a parallel tradition of serious and realistic drams is also on the way. 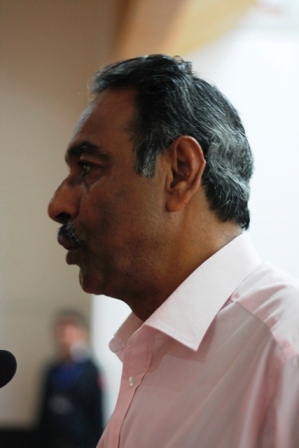 Chairperson of Mass Communication Department, Dr Mian Ahmad Hanan also addressed the students and stressed the need of appropriate censorship for dramas to regulate their content. 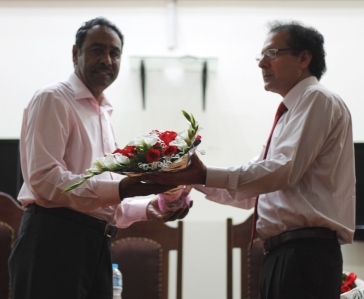 He further expressed his gratitude and presented Ayub Khawar a bouquet of flowers as a token of thanks.